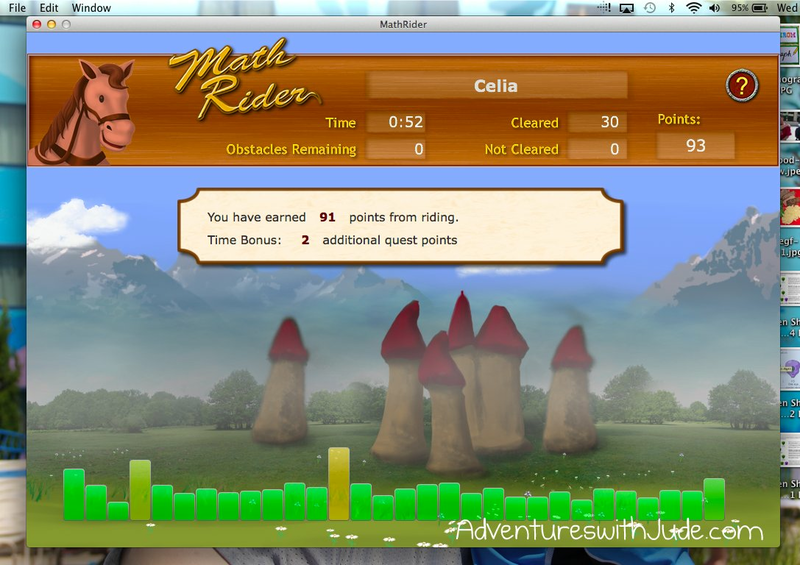 Math Rider is a computer program that helps students gain accuracy and speed in addition, subtraction, multiplication, and division. Each function contains four levels: Easy, Medium, Advanced, and Master. While the first three can be completed/repeated in any order, the Master level is only unlocked when the student achieves 100% mastery (based on speed and accuracy) in the first three. Math Rider supports up to 8 "riders," making it good for larger families like ours. 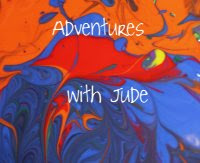 It is recommended for ages 6-12, or grades 2 through 6. Matthew and Celia fit that target right now (3rd and 6th grades), but I believe Jude can start in soon with the easy levels of addition/subtraction and revisit the more difficult levels and other functions as he learns. He sees them playing and would like to play, too. However, what I like is that each student is self-contained (with his/her own self-chosen username and password); while I can look at a comparison of them, they are not competing against each other, only their own proficiency. When working with students of different levels, this is very helpful. For example, Matthew is enrolled in Algebra I, so I would expect him to be more proficient than Celia (who is only beginning to learn division) and obviously Jude who is just beginning to learn to add and subtract within ten. Jude is clearly going to be slower and not as advanced as his siblings, but I can also see if Matthew is appropriately faster than his brother and sister. Although Luke is well outside the target audience, it is something he wants to try over the summer just for practice - the need for speed with fact families is something one never outgrows, especially with timed exams like the SATs coming up, where every second counts! Each "Ride" consists of 30 fact questions. The program gives you two tries to answer the question; if the second attempt is incorrect, the horse stops and the fact is recited before the ride resumes. At the end of each "Ride," a score tally screen is shown. The rider can see his overall speed and mastery: the lower the bar, the faster he or she answered the question; a green bar indicates a correct answer on the first try, yellow on the second, and red indicates an incorrect answer. The better the speed and accuracy, the more bonus points the rider earns (and the faster he completes the quest.) The program also adjusts based on the answers given; if the rider is consistently answering the fact, it does not repeat it; if there is a particular fact where the rider is struggling, it will repeat more frequently so that it can be practiced more. The developers recognize there is no point focusing on what you do know, but time is better spent strengthening weaker areas. Here, you can see Matthew picked up more bonus points because his speed was more even. The program has a one-time cost of $47. However, unlike many computer programs, there are no costs for any updates. Something I like is that Math Rider does NOT require an internet connection for active play. While you need an internet connection for downloads and to acquire the periodic updates, the actual play is on the computer itself. I have the program installed on a (Mac) laptop, so they can play anywhere they are, and are not dependent on finding a Wi-Fi connection. Their only complaint is my keyboard does not have a number pad, so they have to search across the top of the keyboard to put in their answers; both kids would prefer a keypad to help increase their speed. Both Celia and Matthew really enjoy the program. Neither is allowed to work on it until their regular homework is done, so it's a good motivator! In our family, we tease that concentration expended is proportional to how far out the tongue is. Matthew's focusing really hard! 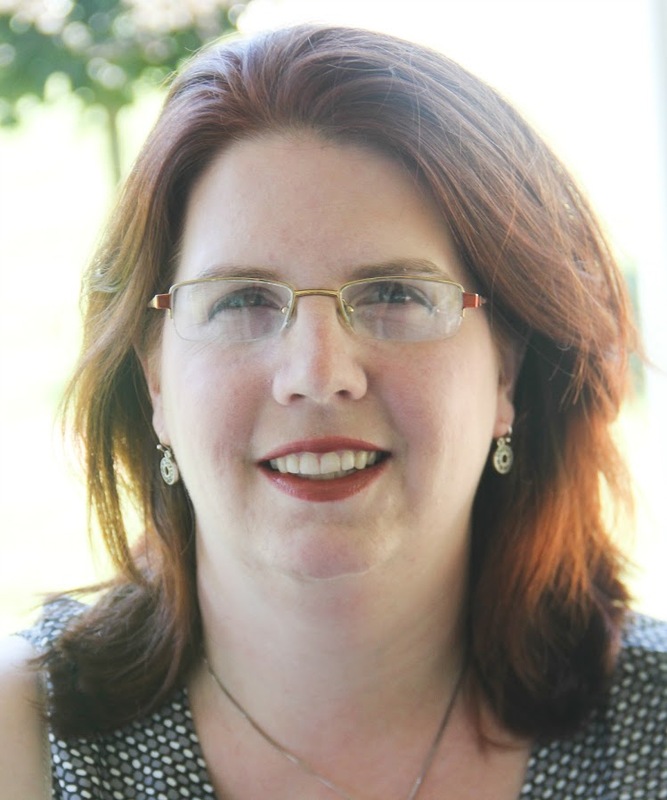 Celia has been working with this program daily since school has gotten out. During the school year, she spent time playing every few days, depending on her regular homework assignments. 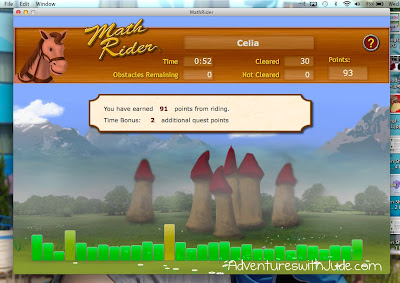 Now that she is on summer break, she has plenty of free time and asks for a turn with the computer to play Math Rider. She is excited to be playing a video game; I'm excited because it's great math practice so she doesn't regress in skill and speed over the summer break! 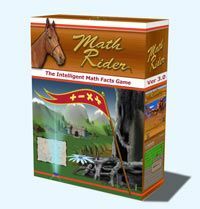 Many other Crew families have been practicing their math facts with Math Rider. Click the banner to find out what they thought. My third grader still chooses to play this without prompting.